In some cases, simple or complex partial seizures evolve into what are known as secondarily generalized seizures . The progression may be so rapid that the initial partial seizure is not even noticed. Absence (Petit Mal) Seizures: Absence or petit mal seizures are brief losses of consciousness that occur for 3 to 30 seconds. Physical activity and loss of attention may pause for only a moment. Such seizures may pass unnoticed by others. Young children may simply appear to be staring or walking distractedly. Petit mal may be confused with simple or complex partial seizures, or even with attention deficit hyperactivity disorder (ADHD). In petit mal, however, a person may experience attacks as often as 50 to 100 times a day. Myoclonic Seizures: Myoclonic seizures are a series of brief jerky contractions of specific muscle groups, such as the face or trunk. Atonic (Akinetic) Seizures: A person who has an atonic (or akinetic) seizure loses muscle tone. Sometimes it may affect only one part of the body so that, for instance, the jaw slackens and the head drops. At other times, the whole body may lose muscle tone, and the person can suddenly fall. A brief atonic episode is known as a drop attack. 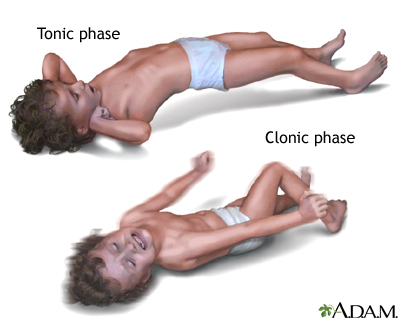 Simply Tonic or Clonic Seizures: Seizures can also be simply tonic or clonic. In tonic seizures, the muscles contract and consciousness is altered for about 10 seconds, but the seizures do not progress to the clonic or jerking phase. Clonic seizures, which are very rare, occur primarily in young children, who experience spasms of the muscles but not tonic rigidity. Temporal Lobe Epilepsy: Temporal lobe epilepsy is a form of partial (focal) epilepsy, although generalized tonic-clonic seizures may occur with it. 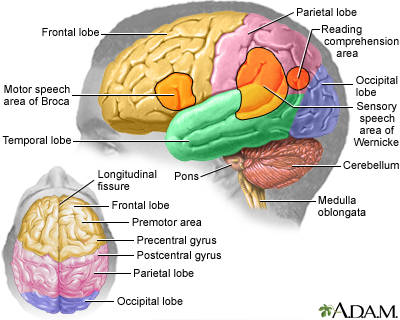 Frontal Lobe Epilepsy: Frontal lobe epilepsy is characterized by sudden violent seizures. Seizures may also produce loss of muscle function, including the ability to talk. 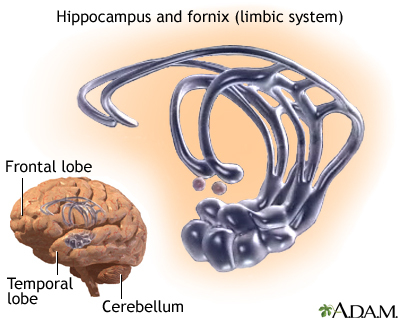 In autosomal dominant nocturnal frontal lobe epilepsy, a rare inherited form, seizures often occur during sleep. West Syndrome (Infantile Spasms): West syndrome, also called infantile spasms, is a disorder that involves spasms and developmental delay in children within the first year, usually in infants ages 4 to 8 months. Benign Familial Neonatal Convulsions: Benign familial neonatal convulsions (BFNC) are a rare, inherited form of generalized seizures that occur in infancy. 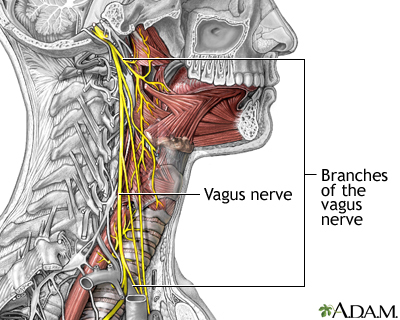 BFNC appears to be caused by genetic defects that affect channels in nerve cells that carry potassium. Juvenile Myoclonic Epilepsy (Impulsive Petit Mal): Juvenile myoclonic epilepsy, also called impulsive petit mal epilepsy, is characterized by generalized seizures, usually tonic-clonic marked by jerky movements (called myoclonic jerks), and sometimes absence seizures. It usually occurs in younger people ages 8 to 20. Lennox-Gastaut Syndrome: Lennox-Gastaut syndrome is a severe form of epilepsy in young children that causes multiple seizures and some developmental disability. It usually involves absence, tonic, and partial seizures. Myoclonic-Astatic Epilepsy: Myoclonic-astatic epilepsy (MAE) is a combination of myoclonic seizures and astasia (a decrease or loss of muscular coordination), often resulting in the inability to sit or stand without aid. Progressive Myoclonic Epilepsy: Progressive myoclonic epilepsy is a rare inherited disorder typically occurring in children ages 6 to 15. It usually involves tonic-clonic seizures and marked sensitivity to light flashes. Landau-Kleffner Syndrome: Landau-Kleffner syndrome is a rare epileptic condition that typically affects children ages 3 to 7. It results in the loss of ability to communicate either with speech or by writing (aphasia). Febrile Seizures: Febrile seizures are convulsions in children triggered by a high fever. Most febrile seizures occur in young children ages 9 months to 5 years. Simple febrile seizures last for less than 15 minutes and only occur once in a 24-hour period. They are usually an isolated event and not a sign of underlying epilepsy. However, complex febrile seizures, which last longer than 15 minutes and occur more than once in 24 hours, may be a sign of underlying neurologic problems or epilepsy. Eclampsia: Eclampsia is a life-threatening pregnancy complication associated with tonic-clonic seizures. It can result in pregnant women who develop preeclampsia, a condition marked by extremely high blood pressure and excess fluid in the lungs. First Seizure: A single seizure may be due to causes other than epilepsy (fever, infections, drug reactions, and head trauma). Many people who have a first seizure will never have another seizure, and do not have epilepsy. 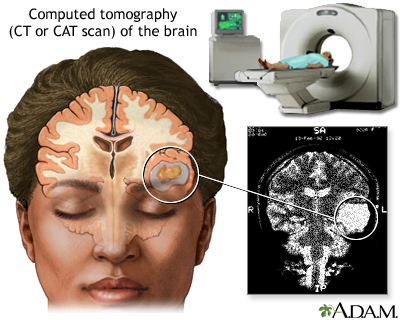 Still, a health care provider may order a brain imaging test to make sure that epilepsy is not an underlying cause. Ion Channels: Sodium, potassium, and calcium act as ions in the brain. They produce electric charges that must fire regularly in order for a steady current to pass from one nerve cell in the brain to another. If the ion channels that carry them are genetically damaged, a chemical imbalance occurs. This can cause nerve signals to misfire, leading to seizures. Neurotransmitters: Abnormalities may occur in neurotransmitters, the chemicals that act as messengers between nerve cells. Three neurotransmitters are of particular importance: Scientists in epilepsy research have paid particular attention to the neurotransmitter gamma aminobutyric acid (GABA), which helps prevent nerve cells from over-firing. Injuries from falls: Many people with seizures fall, and injuries are common. Although such injuries are usually minor, people with epilepsy have a higher risk for fractures than those without the disorder. Certain medications (phenytoin, carbamazepine) can affect bone hardness or density and increase the risk for fractures. Household accidents: Household environments, such as the kitchen and bathroom, can be dangerous places for children with epilepsy. Parents should take precautions to prevent burning accidents from stoves and other heat sources. Children with epilepsy should never be left alone when bathing. Driving: Due to the high risk for accidents, people with epilepsy who have seizures that are not controlled by medication are legally restricted from driving. In general, to obtain a driver's license, a health care provider must confirm that a person has been seizure-free for a specific number of months. Swimming: People with epilepsy have a much higher risk for drowning than people without this condition. In fact, one study suggested that the drowning risk for people with epilepsy is 15 to 19 times greater than for the general population. People with epilepsy who swim should avoid deep and cloudy water (a clear swimming pool is best), and always swim with a knowledgeable, competent, and experienced companion or at a facility that has a lifeguard on site. Effects on sexual function: Some people with epilepsy experience sexual dysfunction, including erectile dysfunction. These problems may be caused by emotional factors, medication side effects, or a result of changes in hormone levels. Effects on reproductive health: A woman's hormonal fluctuation can affect the course of her seizures. Estrogen appears to increase seizure activity, and progesterone reduces it. Antiseizure medications may reduce the effectiveness of oral contraceptives. Pregnancy complications: Epilepsy can pose risks both to a pregnant woman and her fetus. Some types of anti-epileptic drugs should not be taken during the first trimester because they can cause birth defects. Women with epilepsy who are thinking of becoming pregnant should talk to their health care providers in advance to plan changes in their medication regimen. Migraine headaches , particularly migraine with auras, may sometimes be confused with seizures. With epileptic seizure, the preceding aura is often seen as multiple, brightly colored, circular spots, while migraine tends to cause black, white, or colorless lined or zigzag flickering patterns. Narcolepsy , a sleep disorder that causes a sudden loss of muscle tone and excessive daytime sleepiness, can be confused with epilepsy. Felbamate (Felbatol): is an effective antiseizure drug. However, due to reports of deaths from liver failure and from a serious blood condition called aplastic anemia, felbamate is recommended only under certain circumstances. They include severe epilepsy, such as Lennox-Gastaut syndrome, or as monotherapy for partial seizures in adults when other drugs fail. Vigabatrin (Sabril): has serious side effects, such as vision disturbances, and is generally prescribed only in specific cases. It is sometimes given in low doses for children with Lennox-Gastaut syndrome. Vigabatrin is also prescribed as a low-dose oral solution to treat infantile spasms in children ages 1 month to 2 years. Clobazam (Onfi): is a benzodiazepine drug prescribed as add-on treatment for children with Lennox-Gastaut syndrome. It can cause rare but serious skin reactions such as Stevens-Johnson syndrome and toxic epidermal necrolysis. The risk for these reactions is highest during the first 8 weeks of treatment. While these types of serious skin reactions can occur with other AEDs, they are not usually associated with benzodiazepine drugs. 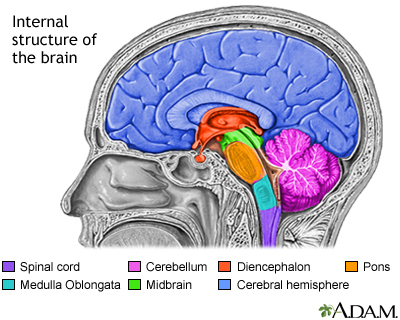 Corpus callostomy: Corpus callostomy disconnects the nerve connections between the right and left sides (hemispheres of the brain). The surgeon cuts into the band of tissue that connects these hemispheres to prevent seizures from becoming generalized and spreading from one side of the brain to the other. However, this procedure does not stop seizures from continuing to occur in one side of the brain. Hemispherectomy: Children who have extremely severe seizures that originate on only one side of the brain may be candidates for hemispherectomy. This is a radical surgical procedure that involves removing a large portion of one side of the brain. Poor sleep: Inadequate or fragmented sleep can set off seizures in many people. Using sleep hygiene or other methods to improve sleep may be helpful. Food allergies: Specific foods are not generally associated with seizures but may have an effect in certain people. If you suspect that a food is a seizure trigger, try keeping a diary of what you eat and when your seizures occurred. Check with your health care provider if certain foods may interact with any medications you are taking. Alcohol and smoking: Alcohol and smoking should be avoided. Light alcohol consumption does not usually increase seizure activity in people who are not alcohol dependent or sensitive to alcohol. Heavy alcohol use can trigger seizures, as can cigarette smoking. Flashing lights: Avoid exposure to flashing or strobe lights. Video games have been known to trigger seizures in people with existing epilepsy, but apparently only if they are already sensitive to flashing lights. Seizures have been reported among people who watch cartoons with rapidly fluctuating colors and quick flashes. Bell GS, Gaitatzis A, Bell CL, Johnson AL, Sander JW. Suicide in people with epilepsy: how great is the risk? Epilepsia . 2009;50(8):1933-1942. Christensen J, Grønborg TK, Sørensen MJ, et al. Prenatal valproate exposure and risk of autism spectrum disorders and childhood autism. JAMA . 2013;309(16):1696-1703. Christensen J, Vestergaard M, Mortensen PB, Sidenius P, Agerbo E. Epilepsy and risk of suicide: a population-based case-control study. Lancet Neurol . 2007;6(8):693-698. Fiest KM, Dykeman J, Patten SB, et al. Depression in epilepsy: a systematic review and meta-analysis. Neurology . 2013;80(6):590-599. Fisher RS, Acevedo C, Arzimanoglou A, Bogacz A, Cross JH, Elger CE, et al. ILAE official report: a practical clinical definition of epilepsy. Epilepsia . 2014 Apr;55(4):475-82. doi: 10.1111/epi.12550. Epub 2014 Apr 14. PMID: 24730690 www.ncbi.nlm.nih.gov/pubmed/24730690 . Freeman JM, Kossoff EH, Hartman AL. The ketogenic diet: one decade later. Pediatrics . 2007 Mar;119(3):535-543. French JA, Pedley TA. Clinical practice. Initial management of epilepsy. N Engl J Med . 2008 Jul 10;359(2):166-176. Gloss D, Vickrey B. Cannabinoids for epilepsy. Cochrane Database Syst Rev . 2014 Mar 5;3:CD009270. PMID: 24595491 www.ncbi.nlm.nih.gov/pubmed/24595491 . Harden CL, Hopp J, Ting TY, et al. Practice parameter update: management issues for women with epilepsy--focus on pregnancy (an evidence-based review): obstetrical complications and change in seizure frequency: report of the Quality Standards Subcommittee and Therapeutics and Technology Assessment Subcommittee of the American Academy of Neurology and American Epilepsy Society. Neurology . 2009 Jul 14;73(2):126-132. Harden CL, Meador KJ, Pennell PB, et al. Practice parameter update: management issues for women with epilepsy -- focus on pregnancy (an evidence-based review): teratogenesis and perinatal outcomes: report of the Quality Standards Subcommittee and Therapeutics and Technology Assessment Subcommittee of the American Academy of Neurology and American Epilepsy Society. Neurology . 2009;73(2):133-141. Hernández-Díaz S, Smith CR, Shen A, et al. Comparative safety of antiepileptic drugs during pregnancy. Neurology . 2012;78(21):1692-1699. Hirsch LJ, Donner EJ, So EL, et al. Abbreviated report of the NIH/NINDS workshop on sudden unexpected death in epilepsy. Neurology . 2011;76(22):1932-1938. Koppel BS, Brust JC, Fife T, Bronstein J, Youssof S, Gronseth G, et al. Systematic review: efficacy and safety of medical marijuana in selected neurologic disorders: report of the Guideline Development Subcommittee of the American Academy of Neurology. Neurology. 2014 Apr 29;82(17):1556-63. PMID: 24778283 www.ncbi.nlm.nih.gov/pubmed/24778283 . Krumholz A, Wiebe S, Gronseth G, et al. Practice Parameter: evaluating an apparent unprovoked first seizure in adults (an evidence-based review): report of the Quality Standards Subcommittee of the American Academy of Neurology and the American Epilepsy Society. Neurology . 2007;69(21):1996-2007. Kwan P, Schachter SC, Brodie MJ. Drug-resistant epilepsy. N Engl J Med . 2011;365(10):919-926. Meador KJ, Baker GA, Browning N, et al. Cognitive function at 3 years of age after fetal exposure to antiepileptic drugs. N Engl J Med . 2009;360(16):1597-1605. Mølgaard-Nielsen D, Hviid A. Newer-generation antiepileptic drugs and the risk of major birth defects. JAMA . 201118;305(19):1996-2002. Morris GL 3rd, Gloss D, Buchhalter J, et al. Evidence-based guideline update: vagus nerve stimulation for the treatment of epilepsy: report of the Guideline Development Subcommittee of the American Academy of Neurology. Neurology . 2013;81(16):1453-1459. Reviewed By: Daniel Kantor, MD, Kantor Neurology, Coconut Creek, FL and Immediate Past President of the Florida Society of Neurology (FSN). Review provided by VeriMed Healthcare Network. Also reviewed by David Zieve, MD, MHA, Isla Ogilvie, PhD, and the A.D.A.M. Editorial team. Author: Julia Mongo, MS.